You will spend the day creating three or four items to support and enhance your garden. Why spend money on expensive garden structures when you can make your very own? 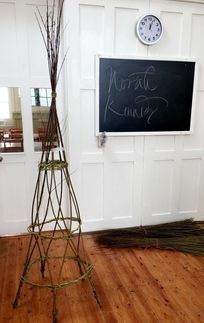 We will use willow in various rich natural colours, from the Somerset Levels, Herefordshire and Powys. All tools and materials are provided by the tutor, see below. Remember these items are large so please leave plenty of space in your car for the journey home.